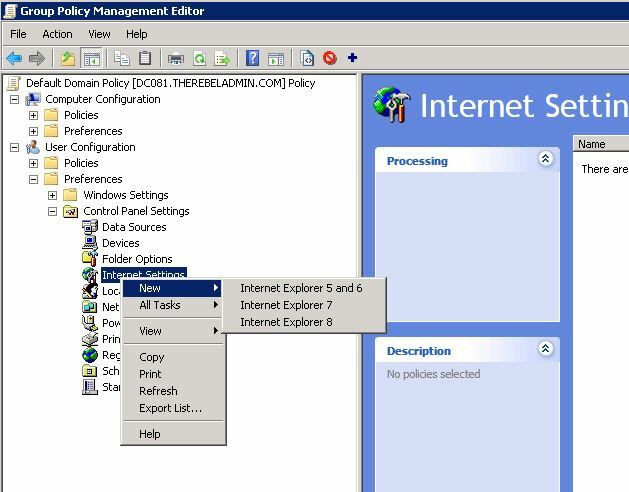 Before IE10, the internet explorer settings were able to manage using Internet Explorer Maintenance (IEM) in group policy. If your organization have IE settings published using IEM, it will not applying anymore to IE10 and IE11. If its windows 2012 or later AD environment it is not a problem you can simply publish these settings using new IE setting publish method in GPO, but if its Windows 2008 and Windows 2008 R2 it need to follow different method. 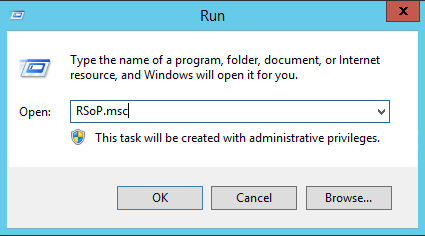 In this post I will explain how to do it in windows 2008 R2 AD environment. 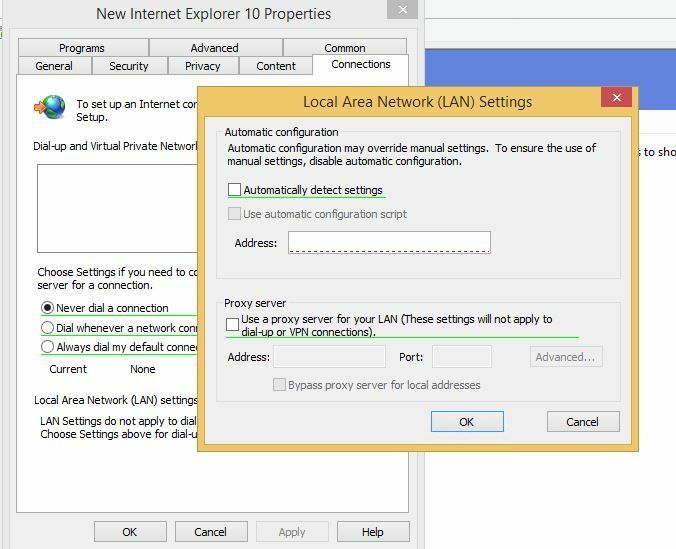 Before IE10 you can publish settings via GPO using User Configuration > Policies > Windows Settings > Internet Explorer Maintenance. But if your server running with IE10 or IE11 you can’t see it any more in GPO. 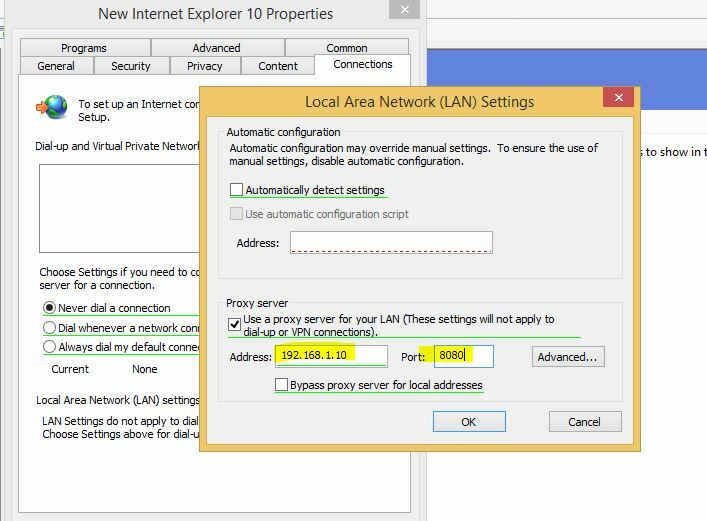 The new method is to publish IE settings via, User Configurations > Control Panel Settings > Internet Settings. There you can create settings based on IE version. In my demo I am using a DC server with windows 2008 R2 and IE 11 installed. But here I can’t see option to publish IE10 or IE11. So how we can do it? Also make sure the system is running with latest updates. 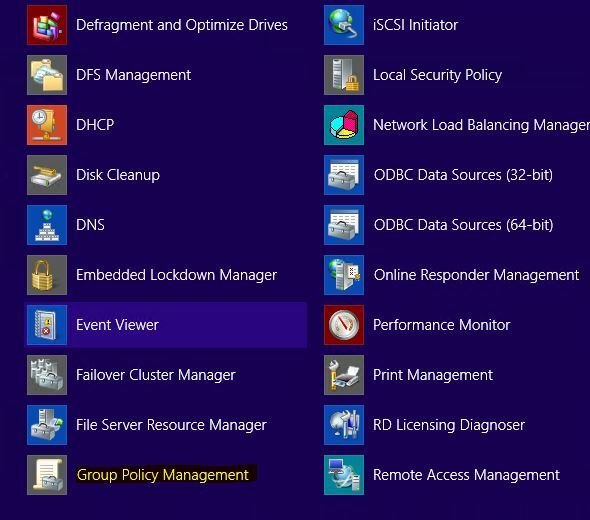 Remote Server Administration Tools (RSAT) enables IT administrators to remotely manage roles and features in Windows Server 2012 R2, Windows Server 2012, Windows Server 2008, and Windows Server 2008 R2 from a computer that is running Windows 8.1, Windows 8 or newer. In my demo I am using a windows 8.1 machine with RSAT installed. 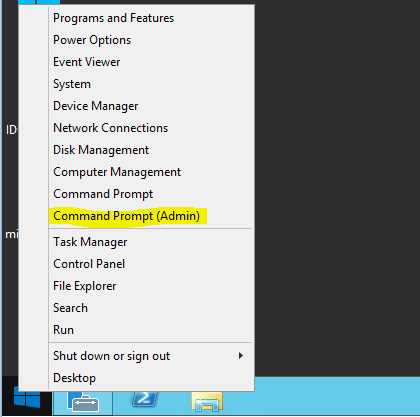 1) To start log in to the PC with Domain Administrator Privileges. 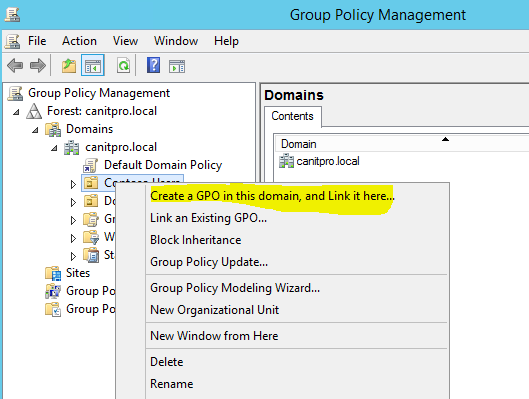 3) Once its load up, expand the console and go to the domain, right click and select Create GPO in this domain, and Link it here. In my demo I am going to create new GPO to publish the IE settings. 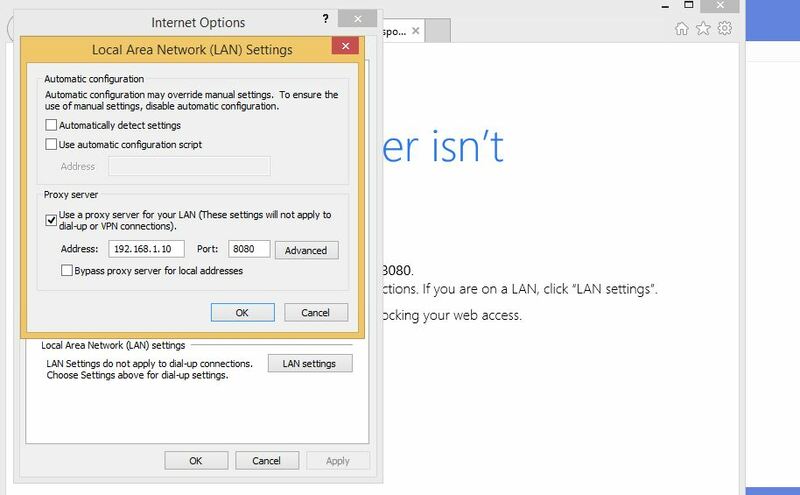 6) Expand the policy settings and go to User Configuration > Preferences > Control Panel Settings > Internet Settings. The Right click and select new. Here now we can see the IE 10. There is no IE11 settings. 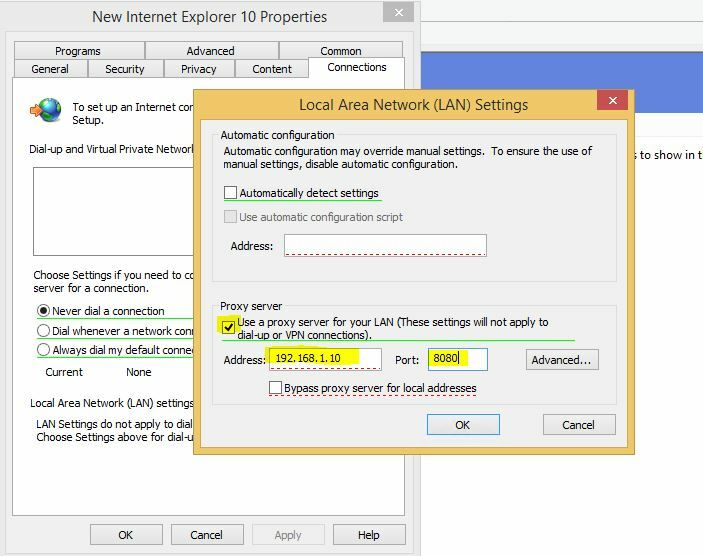 IE10 settings valid for IE11 too. Click on “Internet Explorer 10” to publish the settings. 7) Now it will open up the window and its looks similar to typical IE settings interface. 8) Type the changes you like to publish. 9) One thing you need to make sure is once publish the changes press “F6” to apply the changes. If its works fine the red dotted line will change to green dotted line. It doesn’t matter what ever the changes you put, if you not activate it with pressing F6 it will not publish. 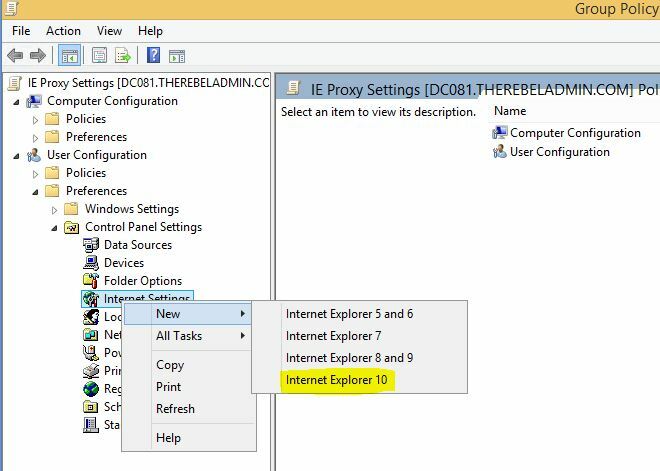 10) Click ok to submit the settings and in here you can see it save the IE10 Browser settings. 11) It’s time for testing and let’s see if it’s applied the new settings published for IE11. 12) Yes it is worked fine. One thing you need to keep in mind is if you need to do changes to the GPO, need to use one of the above mentioned option. You can’t edit new values with windows 2008 r2. 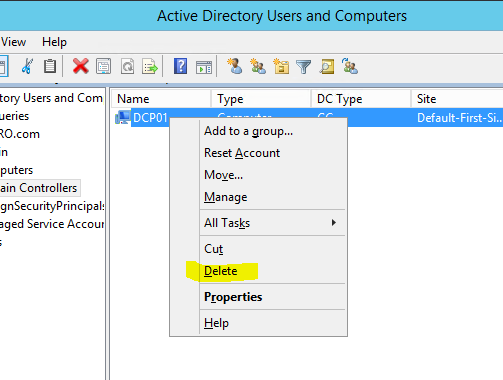 In active directory infrastructure, if you need to remove a DC server the proper way is to run DCPROMO and remove it. But there are situations such as server crash or failure of dcpromo option which will lead to manually remove the DC from the system (event of even recovery, repair option doesn’t work). How we can do it? The option is to clean up the server metadata. Let’s see how we can do it in steps. 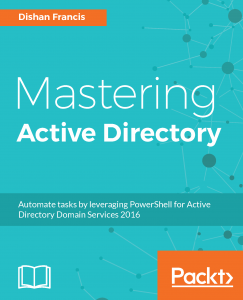 Healthy Active directory replication is important for active directory infrastructure. REPADMIN is command line utility which can use to check the AD replication status. 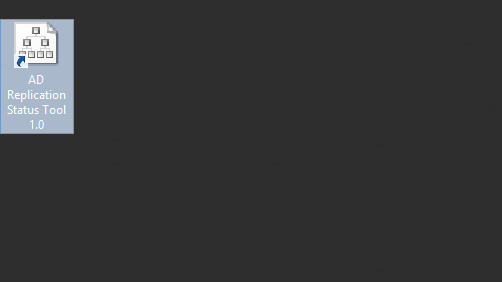 I wrote an article before about common replication errors and how to use these command line utilities for troubleshooting. If you till not read it you can find it in here. 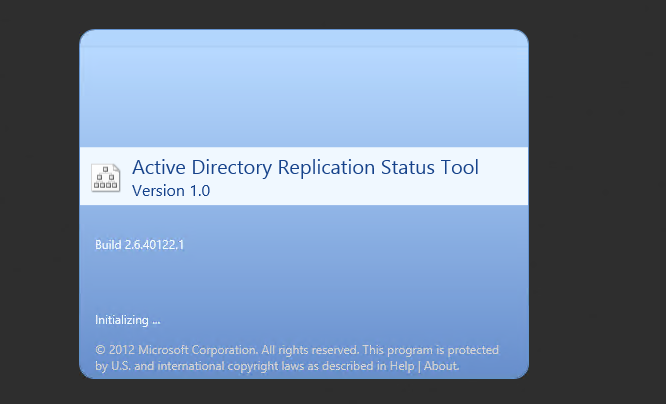 The Active Directory Replication Status Tool (ADREPLSTATUS) is a small but handy tool Microsoft published which can use to analyze the replication status of active directory environment. The output is similar to output of command REPADMIN /SHOWREPL * /CSV but with few enhancements. It is very straight forward. All need to do is double click on the file. Once install, double click on the icon to run the application. Once tool is loaded, you can check the replication on entire forest or specific domains. 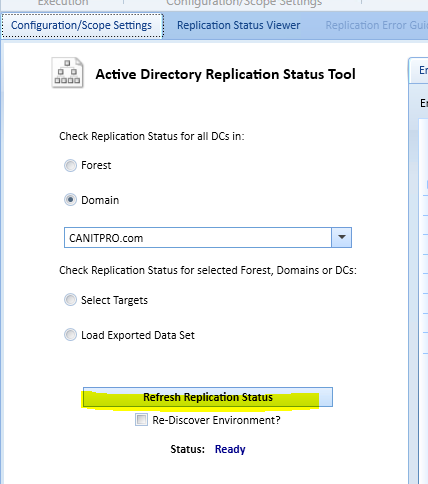 After you specify the replication boundaries, click on refresh replication status button. It will discover the current configuration and replication status. If you required you can export the data to xps or csv format. 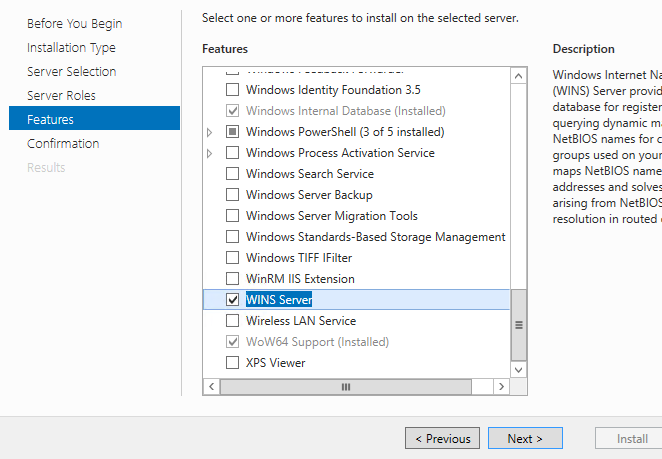 Till Windows server 2008 R2, forest and domain functional level are not possible to downgrade once it’s upgraded. Well it’s not a problem if you properly plan you active directory upgrades. But sometime it’s save life with difficulties admins face with AD upgrades. With starting windows server 2008 R2 you can downgrade forest and function levels. The minimum level it can downgrade is windows server 2008. 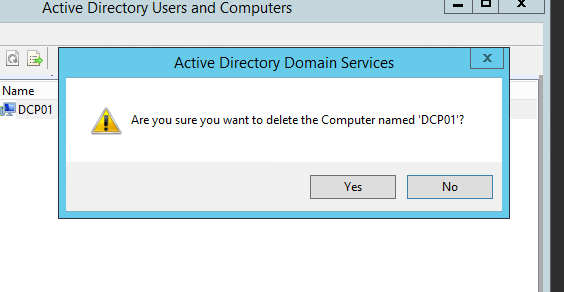 In here on my demo I am using domain controller with forest and domain function level set to windows 2012 R2. There is no GUI to perform this downgrade. We have to use PowerShell commands to do it. 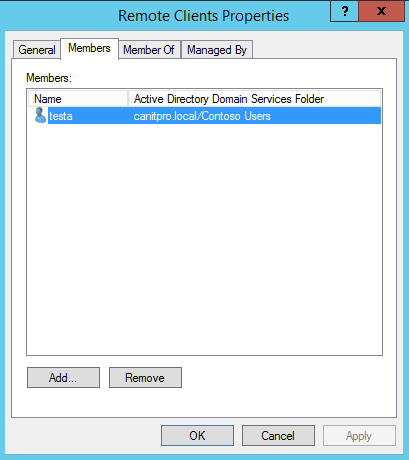 First, log in to the domain controller as domain admin / Enterprise admin. 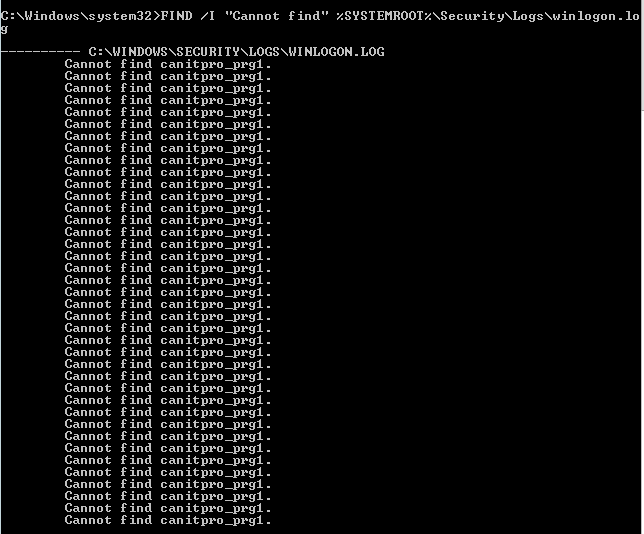 Then load PowerShell with Admin rights. Then we need to import the AD module. 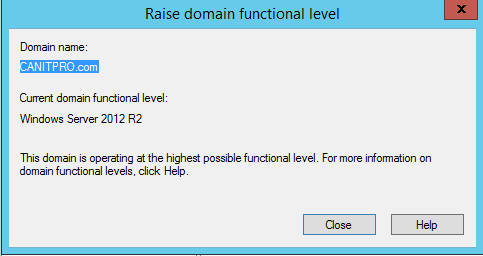 Before proceed as confirmation here my domain and forest function levels are set to windows server 2012 R2. 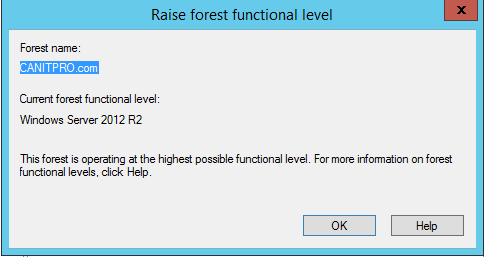 First I am going to set forest function level to windows server 2008. In here my FQDN is CANITPRO.com you can replace it with your domain name. After run the command ask for the confirmation, type Y or A to confirm the change. Next step is to downgrade the domain function level to windows server 2008. After successfully commands, next step is to confirm the new forest and domain function levels. This time I am using PowerShell. Happy New Year to all my blog reader! It’s been quite time for the blog as I was stuck on some projects. With New Year I am back in blogging. 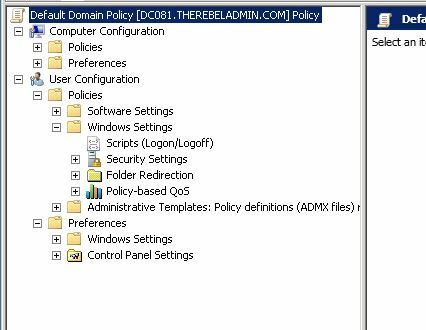 Today I am going to show how to fix the Active directory group policy related error. 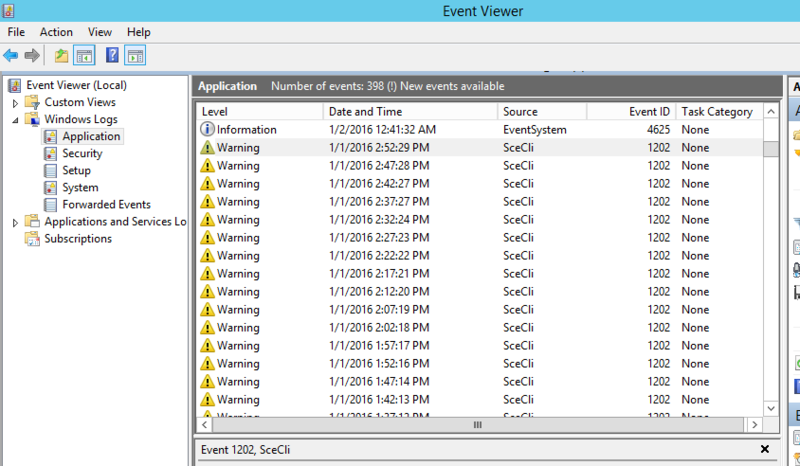 The relevant event viewer error code is 1202. So what is this error about? As it describes in error it’s saying no mapping between account names and security IDs. Which means there is a GPOs setting which used for domain computers, controllers with orphaned account details. Those accounts couldn’t resolved to correct SID. Well there is only two possibilities. 1) The relevant account used in the GPO is removed from AD. 2) Within the GPO the account name is typed incorrectly. 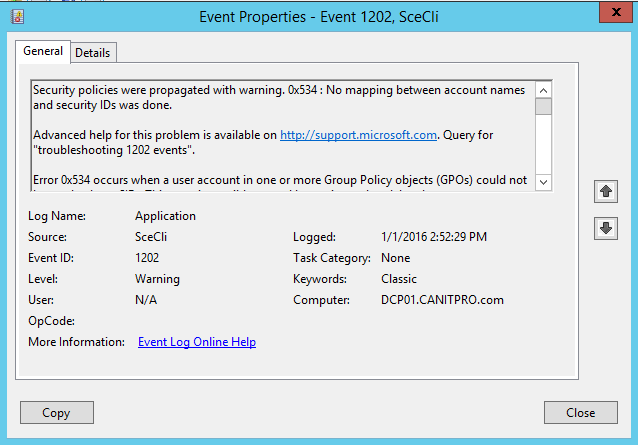 Microsoft done great job on the event log explaining how to fix that error. But let’s see how we really can trigger down the problem. The first thing we need to do is find out the accounts which have problems with. And then double click on key ExtensionDebugLevel and set it to 2. If the log is created first time, we need to wait for some time till it collect the logs. Then let’s try again same command. This time it shows canitpro_prg1 is the account. So next step is to find where it is used. To do it run RSoP (Resultant Set of Policy) mmc to identify the source GPO that contain the problems. 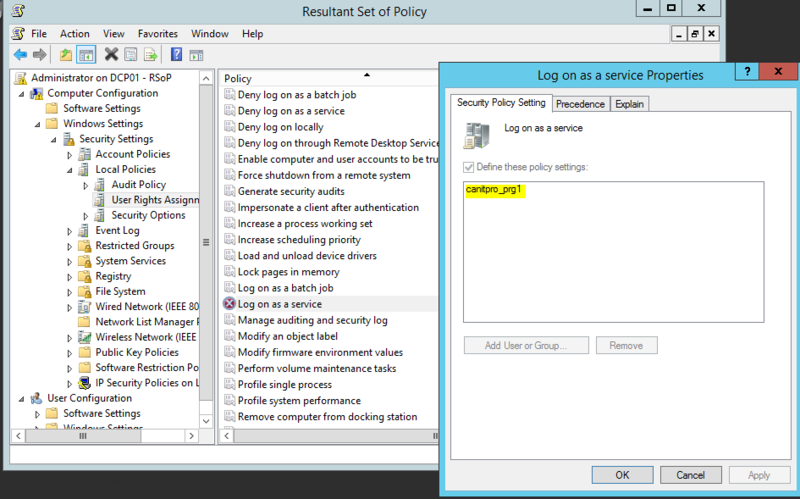 Then when go to Computer Configuration > Security Settings > Local Policies > User Rights Assignment it shows log on as a service got the faulty account applied. So let’s see if this account exist in AD. As can see its not existing in AD, the error is clear. To fix the issue we need to remove this account from the list. 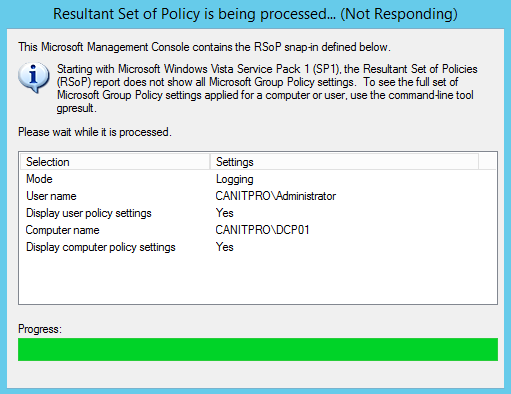 Once you done that, make sure you run gpupdate /force to apply the new policy setting. In previous post I explain about the different groups we can create in a domain environment. 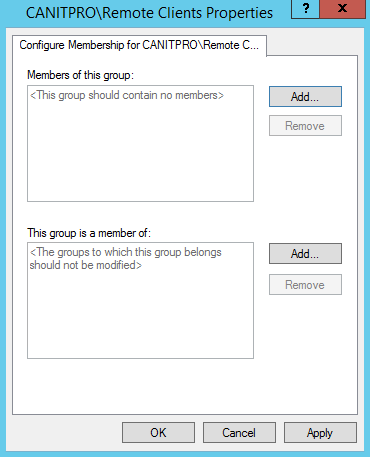 In an organization some time you may need to grant permissions for different users to manage these groups and its memberships. But some time it is better if we can lock some of these memberships for security reasons. For example let’s assume you have a group which have access to financial records of the organization which should only have access to upper management. So membership of the group is important. 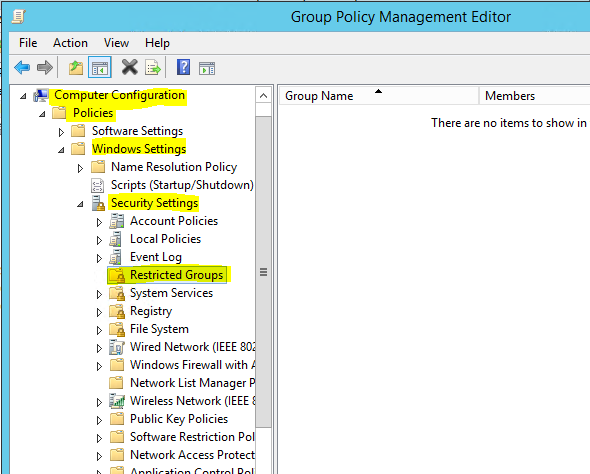 Restricted group policy is the answer for that. 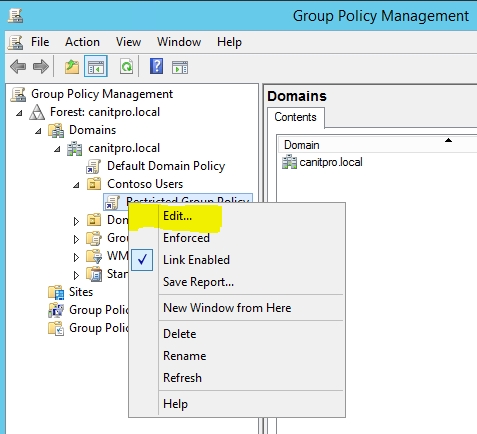 Using group policy you can specify the membership and enforce. So no one can add or remove members. Let’s see how we can do it in domain environment. For the demo I created a group called “Remote Clients” and made usera and userb members of it. But for the demo I need to restrict the group membership and only use testa user as a member. 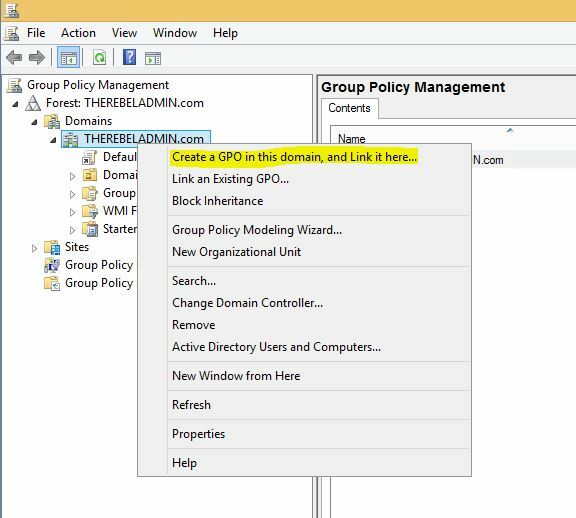 Then provide the name for new policy and click ok.
Then go to the OU again and right click on the new GPO and click on edit. 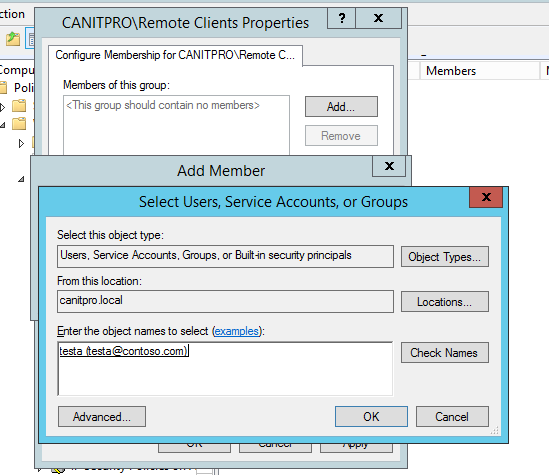 Then go and select the group you need to add, in my demo its Remote Clients. 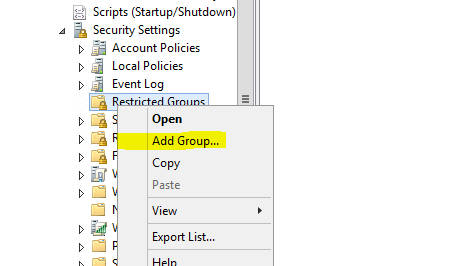 Then click ok.
Then it gives option to add members to the group. Also if this group should need to be added as member of another group. In here I added user testa and I need to force the membership only to this user. Now it’s all done. Next time when policy applied it will overwrite the current membership. Like any other database, DHCP server database also need maintenance in periods to keep the performance and availability. In large infrastructures, DHCP database can grow fast. Like we do for other databases, DHCP server DB also can compact. Microsoft recommends to do this for any database larger than 30mb. Back in windows NT time Microsoft introduce a utility call “Jetpack” which can use to compact WINS and DHCP databases. 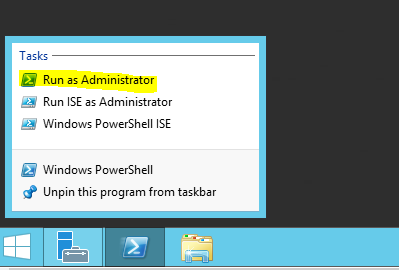 This tool still available even for windows server 2012 R2. In this demo I will show how we can do the database compact. The compact process happens in 3 steps. 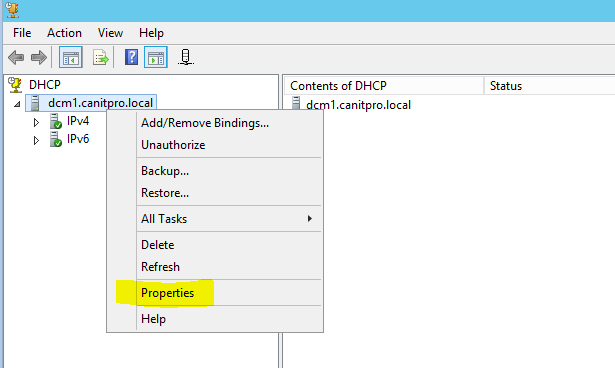 1) Copy running DHCP database in to temporary databases. 3) Rename temporary database to the original database file name. Please note that to do this first we need to stop the DHCP server. So make sure to pre-plan for the downtime. 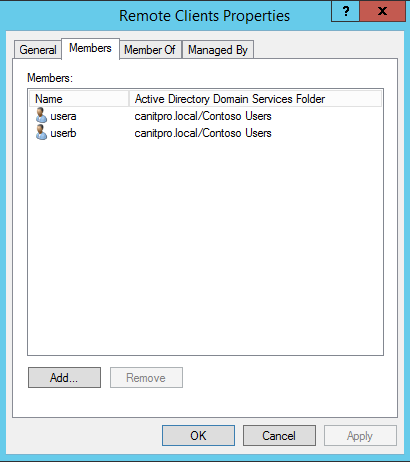 In this demo I am using windows server 2012 R2 which is connected to domain. It holds DHCP server role for the network. 1) Log in to the server as Domain admin or Enterprise Admin. 4) Then type net stop dhcpserver. It will stop the DHCP server. Well this is the interesting part, if you do not have “wins server” role installed on the server, you will get error like, 'jetpack' is not recognized as an internal or external command, operable program or batch file. But friends unfortunately, jetpack only comes with WINS server package. So you need to add this role if you do not have it. 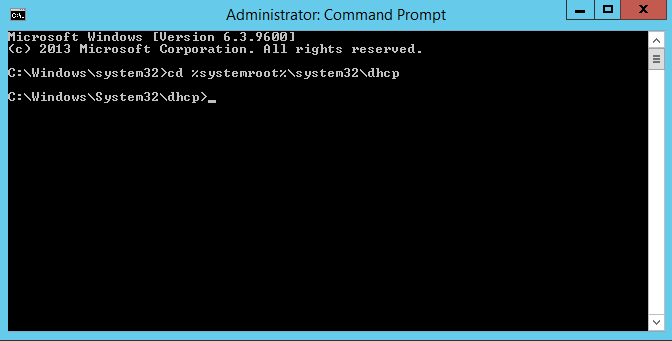 6) Finally type net start dhcpserver to start the dhcp server. 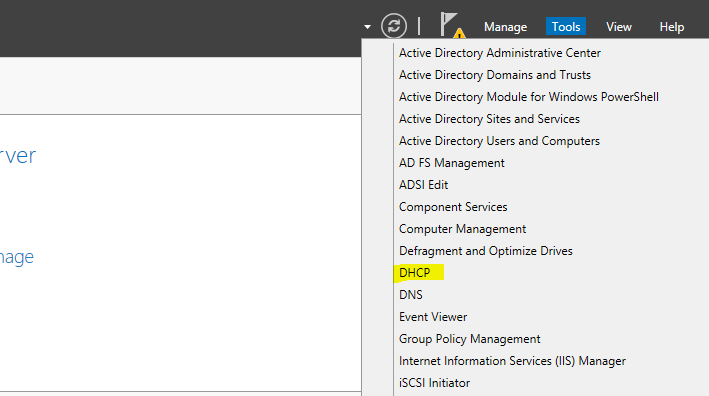 Dynamic Host Configuration Protocol (DHCP) server in organization may require backup and restore dhcp database in event of hardware failure, software failure, migration or in fault configuration change. 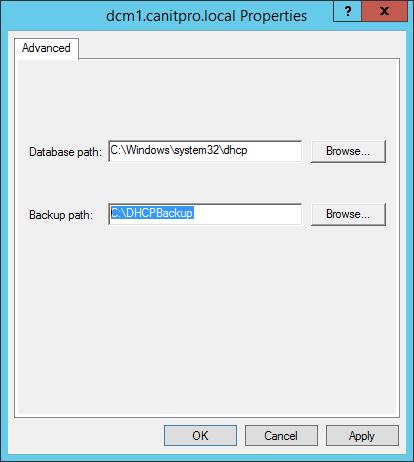 How many of you guys know that Microsoft automatically backup your dhcp database? Sounds strange right? but yes system automatically backup the DHCP server config. In this post let’s see how we can adjust the default parameters of this automatic backup process. 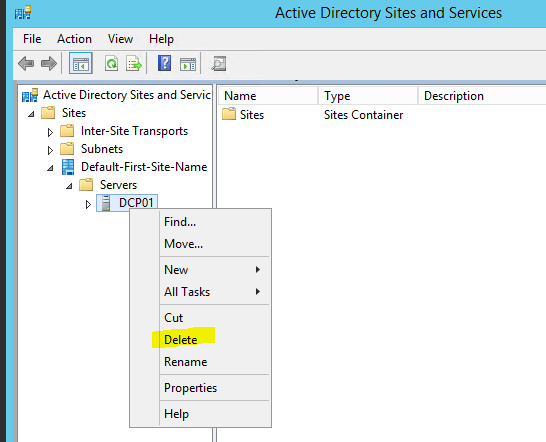 In my demo I am using a server with windows server 2012 R2 in a domain. It do have DHCP server role installed and configure. To start the process log in to server as Domain admin or Enterprise admin. Once mmc load, right click on the server node and click properties. 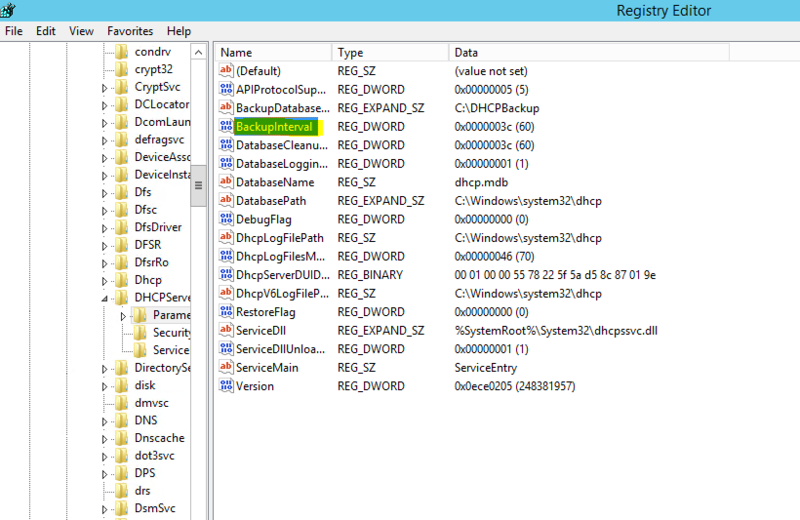 In the new window you can see it shows backup path as C:\Windows\system32\dhcp\backup. This is the default path. But we can change it to local folder or network share. Click on brows to select the new path. In my demo it is set to C:\DHCPBackup. 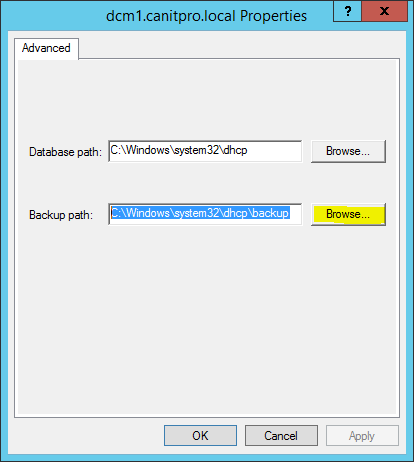 Once path set click on ok.
System automatically backup the config in every 60 minutes time. But we also can change this schedule as per our requirement. In there you will be able to see a key called BackupInterval. 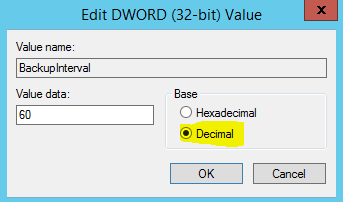 To edit the value double click on it, and then once open select, decimal value option. As you can see default value is 60, to change it type the value you needs (the value represent the number of minutes) and press ok. In my demo I am going to set for 10 minutes. Once done we can check the folder path we set to confirm the backup it’s made.